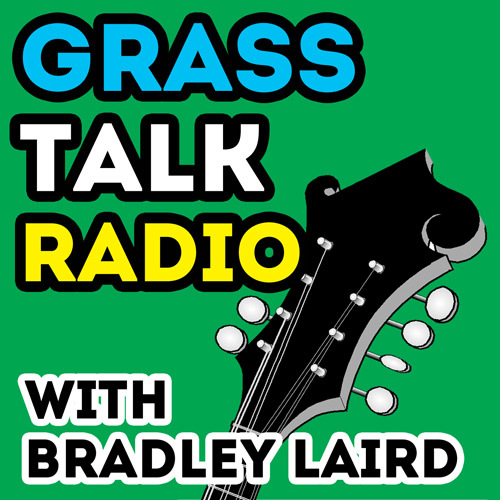 The free podcast for people who play bluegrass music or want to! I produce this audio show to present ideas, motivation and information to my own website visitors, students, and users of my instructional materials without the strict time constraints of videos. Many of the topics are useful for anyone learning to play any style of music, but I am focused on what I personally know the most about and that is bluegrass! I have been a student, a performer and a teacher for 4 decades and am sharing my thoughts on things for people who play mandolin, banjo, bass, guitar, fiddle, and resonator guitar. I take some "side trips" but the show is about learning to play bluegrass and for folks who play it! Dive right in and you're bound to learn some new things and look at things in some different ways. THE ULTIMATE BLUEGRASS BINGE LISTENING EXPERIENCE! Click on an episode to view the show notes and listen. The newest episode is at the bottom of this list. In this episode I discuss what to do when you get disgusted with your playing and what to do about it. In this episode I talk about something not many people are willing to tell you. You will end up doing "a" or "b". No question. In this episode I discuss self-analysis of your abilities and knowledge as a musician and why this is important. This episode discusses, at length, two fellows who start out on the trail of becoming bluegrass musicians. Oh, how their paths begin to diverge early! Episode 5 - Can You Teach An Old Dog New Tricks? In this episode I look at how we train our subconscious mind through repetition, and discuss how (or if) it is possible to make changes at various stages of our musical lives. It's pretty eye opening to consider how many notes you'll play in your life! In this episode I talk about the merits of seeking shortcuts versus meandering along your musical path. Enjoy! Episode 7 - Supercharge Your Playing with "The Chip"
This episode describes, for the first time, my new "invention" I call The Chip. Then we go on a mental excursion exploring some of the "mechanical shortcuts" which have appeared over the years. Fun stuff! In this episode I discuss the concept of documenting your playing to measure your progress. Progress can be difficult to notice on a day by day basis and if you see real progress you'll keep at it! If you don't know the real difference between practicing and playing you're always going to be second rate at best. I want you to be first rate! In this episode I discuss how we learn, the difference between practice and playing, and why some people advance and others lag behind. Enjoy! In this episode I sit down with multi-instrumental bluegrass musician and teacher David Ellis for a conversation about teaching and learning. Enjoy! In this episode I describe a few of my early bluegrass festival experiences, how it felt to be a complete idiot, and how I "saw the elephant". Enjoy! In this episode I get into the motives for attending jam sessions and describe the 12 types of folks you will encounter at bluegrass jam sessions. How many of these species have you seen "in the field" and which type are you? Have fun! In this episode I discuss the pros and cons of playing one bluegrass instrument versus trying to learn all of them. Like many topics, I think this will get you thinking in some new ways. Enjoy! Whether you are crossing the Great Plains in a covered wagon, or learning to play an instrument, it is a great benefit to choose a guide who has made the journey before you. Enjoy! Scott Tichenor is one of the unsung heroes of the internet. His website, MandolinCafe.com has influenced and brought together untold thousands of mandolin enthusiasts. Enjoy the chat! I finish telling the story about the semi-nightmarish, yet fun, jam session on Little Roy Lewis' back porch and then I tell about the first three times I saw Bill Monroe perform. Every bluegrasser needs a working knowledge and appreciation for the man Bill Monroe, pater familias. Oddball episode, I know, but kinda fun. In this episode I share a conversation with world class musician Mike Marshall. We chat about how he got started, how he learned to play, how he became plugged in to the bluegrass and the "Dawg Music" scene and lots of other stuff. Enjoy! In this episode I talk about some simple things you can do to improve your playing. Simple to say, perhaps a bit harder to put into practice. I suppose this advice is similar to the 10 commandments. Easy to say. You can jot 'em down on two stone tablets. Doing them? Well, that might be a tad more difficult. This episode introduces you to the world of Pete Martin. Pete is an accomplished fiddler, mandolinist, teacher, and publisher of instructional materials. I think you will find some useful ideas in this interview. Have fun! The stories in this episode reveal how easy it is to be really ignorant of certain things. I tell the tale of our band opening for Phish and also talk about my father. Enjoy the show! A long chat with luthier Todd Lunneborg about instrument setup, adjustment, repair, building, his writing for Fretboard Journal, and more! This show is pretty long but worth the listen. Enjoy the show! This episode is a look at the similarities between baseball and bluegrass. It's a team sport! I also tell a few stories and put things in historical context. Enjoy the show! In this episode I talk about the art of music improvisation and how it compares to speech. I try to help you make sense of "hillbilly jazz" and give you tips to become better at it. Enjoy the show! This podcast episode is about balance and stability. What are the three primary supports you need to develop to be a good musician? Discover your strengths and weaknesses and you'll progress faster and further. Enjoy the show! It's good to get out of your "bluegrass bubble" once in a while and peer into the camps of nearby styles. Simon Mayor is an excellent mandolinist from the opposite side of the Atlantic and we sit down and talk mandolins, learning to play music, bluegrass in Europe, and a lot more. Enjoy the show! In this episode I lead you on an exploration into the art of listening. Learning how to focus, filter, isolate or hear "the whole" will make you a better musician. Enjoy the show! In this episode I sit down at the kitchen table with my good friend Bob Putnam and talk bluegrass and art. Bob, as an artist, sculptor and art educator, has a knack for describing these fascinating similarities. Enjoy the show! You might wonder what a Berklee School of Music grad, a professional drummer from the UK, hypnotic trance, and Boris the Military Pod have to do with bluegrass. Meet Sam Brown, creator of the Self-Hypnosis for Musicians audio program. We venture down the rabbit hole of how the mind works. Enjoy the show! In this episode I explore the differences between the bluegrass you hear at jam sessions versus the bluegrass you hear performed by bands. I also describe the stages of development as a bluegrass player and tell a couple of stories. Also, I feature a full tune by the Savannah, Georgia band City Hotel. Enjoy the show! In this episode I tell the story of one my early brushes with one of the giants of country music. We were wet behind the ears and learned a few things about reality that day way back in July of 1980. Have fun and enjoy the show! In this episode I describe "the luthier's best friend", various entertaining and wacky instrument destruction tales, and give a bit of advice regarding care of your axe. Have fun and enjoy the show! If you've listened to Bands vs Jams you may be entertaining thoughts about whether to try to get involved in an existing band or start one from scratch. In this episode I try to offer up some ideas to help you join the ranks of "band member." 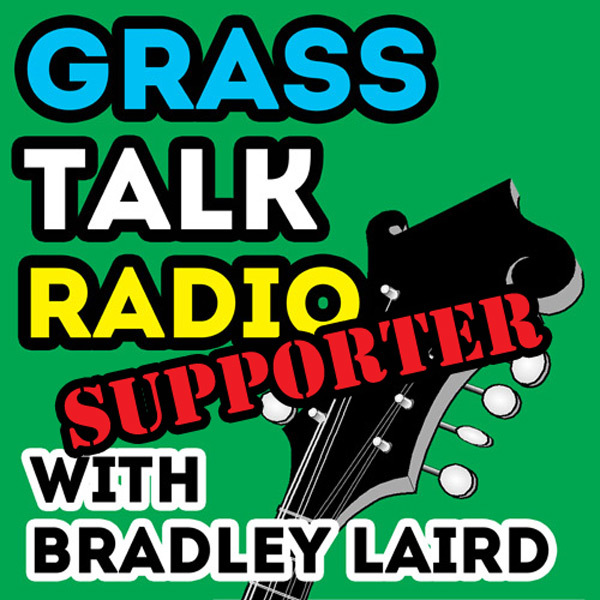 This episode continues the theme of how to operate a part-time or semi-pro bluegrass band. Even if you are not in a band, or don't want to be, you still might find this interesting. Also includes some rap on tips buckets, what is "folk" and two bands with the same name. You could have an $100,000 instrument but without our lowly, mistreated and under-appreciated friend The String, you pretty much have nothing! Here's my rap on strings. When someone calls you they don't want to hear "Well, let me check with the guys..." Get your act together and try the Schedule Master System! It is simple and saves TONS of calls back and forth. At times all bluegrass vocalists are guilty of singing lyrics without really imagining what they are singing about. It's easy to concentrate on how you are singing and forget the important element of what you are singing. Sometimes it is good to jump in feet first and just hope you can make it to the ladder! Sometimes it's good to think things over first. Dive right in and have fun! After a bit of commentary on the state of the world I fully hash out what it takes to rehearse your band so you can perform at your best. Have fun and let me know you are out there! Geoff Hohwald is one of the pioneers in banjo instructional material and an interesting character in the bluegrass world. Join me as I shoot the breeze with Geoff at my kitchen table. My friend John Teate allowed me to use this episode to "slice and dice" his playing. There are a lot of "Johns" out there and the advice I give might help you too! Are you faking it when you could be "nailing it"? Food for thought. Thanks, John! This episode discusses the mindset and skills you need to play over other people's P.A. systems--when you are starting out that will be most of your gigs. This episode will help you deal with the reality of that situation. This episode will walk you through the entire signal chain of a typical bluegrass P.A. setup. It concludes with a short course in microphones. In this episode I discuss how other people rub off on each other, musically and otherwise. This is one of the keys to improvement. Poorly thought out set lists, or just wingin' it, may lead to less than great performances. In this episode I share my thoughts on putting together good sets. This episode wraps up my mini-series to help you get your band up and running and get more gigs. Enjoy! In this episode I explain The Beaver Effect and give examples of the amazing things it can do for you as a musician. Have fun! You've chosen to play an instrument. You got your hands on one "good enough to start on" and now you are on a quest to find the perfect match for you. Let me tell you about the instruments I've owned over the years. There are striking similarities between the art of pulling a rabbit out of a hat and performing a great bluegrass show. In this episode I share what I learned as a magician before I was bitten by the bluegrass bug. This episode discusses a bit of wisdom which I found lurking in the preface to a 1909 music book. I read it and thought "I've said the same thing to every student I ever had!" This episode goes down the rabbit hole of this thing called tuning. The discussion twists and turns more than Earl's D-tuners. I examine the A440 standard, introduce you to the concept of equal temperament and the false notion of perfection. This will test your basic bluegrass knowledge. I also spend a little time talking about how playing music is very similar to the world's oldest profession. Trivia game answers are on the show notes page. In this episode I do my best to encourage you to try writing your own tunes. I divide my time between technical tips and philosophical considerations. In this episode I give an "after action report" on a recent trip to see the Del McCoury Band perform at the Georgia Theater in Athens, Georgia. I talk about why you absolutely cannot "do bluegrass" from the comfort of your couch. Have fun! In this episode I discuss one of the best ways to improve the quality and results of your practice. I make the case for constructive tunnel vision. Have fun! Online video instruction is taking over from private lessons and books but I am not sure everyone knows how to make the best use of this one way stream of information. Try these ideas if you are using videos to improve your playing Have fun! Bluegrass festivals are the great tribal gatherings of folks like you. Tired of being surrounded by friends and co-workers who don't "get it" like you do? Pick a festival, make a plan, and go. And don't forget to take your instrument! Plot your personal skill level on a timeline as I have done. Learn what causes those up, downs and the inevitable plateau. Have fun and thanks for listening. Come along on this exploration into the question "Is it possible that bluegrass is a folk religion of sorts?" Hmmm... Ya know, you may be right, Ranger Brad! For the audience, the band is the show. For the band, the audience is the show! Join me in this rambling diatribe on a few things I have observed from the stage. Enjoy my chat with Barb Rosenstock, author of Blue Grass Boy a new children's picture biography of Bill Monroe. A link to get a copy of the book is on the show notes page here. I have a hard time understanding folks with no kids. I am also quite sure they have a hard time understanding those of us with kids. Perhaps this long-promised interview with a very important person will shed some light on this. Sometimes a band member can't do a gig and that creates an opportunity for someone else to get their foot in the door, help a band in need, and rack up more mileage on the experience-o-meter. Maybe the jam was going a bit late but was attempted murder justified? Would a jury have acquitted after hearing the accused plead "temporary insanity due to hormones"? Imagine that you have come to possess an aged fragile treasure map. This pirate has for more than four decades roamed where he pleased and collected, not without a fight at times, a staggering quantity of perfect gemstones, flawless pearls, gleaming dabloons, ingots, massive gold chains, silver goblets, and even a pouch full of gold teeth prised from the jaws of his feckless adversaries. The hoard is legendary and you have the map! How can you make the best use of your time when woodshedding on your instrument at home? Jams are great fun and there is a lot to be learned there, but there is no substitute for getting in some quality practice time alone. As a teacher, I have seen folks walk through the door with every kind and condition of instrument. Usually there are half a dozen simple things which need to be corrected to get the instrument in a reliable, playable and good-sounding condition. In this episode I walk you through the process. For the bass fiddle player in your life, I recorded this second episode in a series describing the things I look at with a student when they first walk in the door dragging an instrument behind them. We need to make sure the beast is playable and then try to make it sound good. Lots of weird tales and "methods" in this episode. In this episode I recount my recent festival excursion, talk a bit about some of the bands I saw and heard, and describe the poor man's teardrop camper. Why I love vinyl records, gargantuan home stereo systems, big 'ol album covers and analog in general. Then, I race through a tour of 400 pounds of bluegrass records which have influenced, entertained, mystified and inspired me. This morning I was reminded of the importance of our connection with Nature. To quote Butch Robins (speaking about Bill Monroe and his creative process) "If something happened in his conscious surroundings, such as a bird flying by or a dog barking, he would make sounds within the music flowing from him that reflected the action he had just ingested with one of his five senses." This episode is another installment in my series talking about what I check for when examining a student's instrument. In addition to talk about mandolins I also go into some stories and discussion of proper protocol when handling someone else's instrument. Enjoy the show! In this episode I lead you through a thought experiment to help you better understand time and the operation of the "bluegrass machine". I preface this with a revelation of the process I go through to create each episode and then we go deep into the complex gear train of a fully functioning band. I then present my Great Wheel Theory. Enjoy! In the world of music performing, feedback is the devil. But in the world of learning to play, feedback is vitally important. In this episode I discuss the varieties of feedback you will encounter and which you can rely upon and which you might be better to ignore. (Note: If you want some information about audio feedback see Episode 42 and 43 above.) Enjoy the show! I am a podcast addict. In this episode I roll through a list of other podcasts that I listen to that I think you will enjoy. Check 'em out, support them too, and this wonderful world of "personalized radio" will continue. In this episode I talk about how to be prepared for whatever may come your way when you are jamming or gigging. Better to have it and not need it than to need it and not have it. Right? In this episode I ramble on about the rise of tablet devices, debate cause and effect versus chance, discuss two general categories of bluegrass players, and describe narrowly missing being pulverized by a thousand pounds of green pecan timber. As a service to the newbie, I am going to just say the things which people actually think. I hope I do not make enemies of everyone I have ever picked with. That is not my intention. It's just that folks are usually too nice to really clue you in. Strap in and hang on. Episode 79 - Mics: Friend or Foe? Microphones are not very intelligent. They simply react to their surrounding sonic environment. In this episode I touch on the "one mic" setup for live performances and then go into depth about the art and science of performing in noisy clubs, bars, and joints. In this bonus episode I discuss the strange paradox of teaching improvisation. The discussion concerns any bluegrass player who ever takes a solo, regardless of their instrument of choice. In this episode I put my hand right down in that ooey, gooey can of worms and discuss just exactly what the heck is bluegrass. Words are important. That how we humans sort stuff out in our mind and in this episode I talk about what can and cannot be filed under bluegrass. In this episode I walk you through the things I look at when a new guitar student strolls through the door for their first lesson. I talk about everything from the tuning machines all the way down to the end pin. Today I talk about the broad spectrum of people and their goals, hopes and dreams. Advice has to be tailored to each person since no two people are exactly alike. It is possible, however, to observe a few common types of bluegrass musicians. Which of these categories fits you best? Regardless of what you list as your occupation on your tax return, we are all salesmen. Yep. Everybody is selling something. The currency is not always money. Sometimes it is favors, appreciation, time, recognition, but in the end everybody is selling. Here are 21 ways you can measure your degree of professionalism. We all want to be viewed as good at what we do. The bluegrass world, and the world at large, is populated by a wide spectrum of people. At one end of the scale are the "hacks" and at the other end the "pros". Have fun and enjoy the show. Think of that scene from The Wizard of Oz when the wizard bellows into a microphone "Pay no attention to that man behind the curtain!" Toto pulled back the curtain and Dorothy found out that the mighty and powerful wizard was a humbug! That's show biz! In this episode I present 8 reasons to capture sound for the future. I will treat you to examples I have collected over the years including Tiny Moore jamming backstage with the David Grisman Quintet, a VERY limited release of The Tattooed Biker, Swedish bluegrass patriarch Bo Gustafsson playing a Gibson K-4 mandocello for the first time, a whacked out version of Old Joe Clark and more. You should be recording. Taking time off, whether 10 minutes, a week, or a month, is important to your sanity and your overall progress as a musician. A bit of obsession is helpful at times but you don't want to become Captain Ahab chasing some white whale! I am releasing this abbreviated show a day early because the last time a hurricane steamed through our county it was nearly a week before I had electricity and internet. If the good Lord's willing and the creek don't rise, I'll be back next week for a full length show! In the aftermath of Hurricane Michael I quickly put together this episode to give you a taste of what it is like to be forced to camp out. For the next few weeks, if you stop by my place, please bring your chainsaw, a bottle of Dickel and your instrument. Episode 91 - Just Say Yo! Personally, I have always loved "irony" and, if ever there was irony, this story is it. It's not all about the music. Yes, good musical skills are important but there are a lot of other handy skills which can propel your music forward. How are your soldering skills? Know how to jump start a car? Are you a bean counter? What is the best way to move up a rung or two on the ladder of greatness? Improve your singing! In particular, your bluegrass harmony singing. This episode continues the thread of improving your bluegrass vocal sound. It is not difficult. It only requires attention to detail, rehearsal, and caring about what you sound like. Do it. Your audiences will appreciate it and you'll enjoy it more. Here are 18 things which could be holding you back. I've seen lots of private lesson students do these things. How many of them are you guilty of? Check 'em off and fix them. Today I talk about ten things I found which make life easier. I don't care if you are in a part-time bluegrass band, or a Norwegian Death Metal group, these same ten things can save your back and, in general, make your self-contained music show smoother. It is amazing how the entire course of one's life can be altered by one seemingly small event or decision. This is how one such decision, done at the request of a private lesson student, changed my life--and the lives of tens of thousands of other people--in a positive way. Who'd a thunk it? In this bonus episode I am going to give you a "walking tour" of my site, through the labyrinth of secret passages, hallways, store rooms and even the attic! The second thing I am doing in this episode is to explain, for the technically challenged, a bit about how my eBooks and videos actually get from me to you. There is a good chance you will learn a few things that you didn't know. After a bit of mumbo-jumbo about the past year I get into the meat of this episode which explores a question sent to me by a listener about the pros and cons of assigning the lead singing role to a single person versus giving everyone a chance to sing lead. It's a valid question and I hope you enjoy my response. If it doesn't bother you that the first 15 seconds of every song your group plays sounds like a cat fight, don't listen to this episode. However, if you do care, consider the importance of the art of "counting off" songs and listen to this episode. One of the greatest parts of playing bluegrass music are the lifelong friendships that form. Buddy is the best story teller I ever met, a great picker and singer and I count him as one of the best friends I have in the world. This episode is a conversation with a fellow podcaster. We talk about why we do this nutty thing called podcasting, how we got started, and plans for the future. There are a lot of terms that get thrown about when describing audio. The terms have pretty specific meanings. Are you using the word echo when you really mean reverb? (Listening examples provided near the end.) I will try to de-mystify some of the basics. In this short bonus episode I talk a bit more about audio compressors and make an analogy regarding human behavior. It's not that difficult to try your hand at instrument building. Even hacking out a fretless "mountain" banjo or a simple dulcimer can be a lot of fun and increase your knowledge of and appreciation for great instruments. Here's my story of home-made instruments. While I brew a batch of apricot ale I discuss how you can start your own jam session. The world needs more bluegrass jams and you are just the person to take of the reins of power in your own little bluegrass jamming fiefdom. Would your wildest dreams come true if you could sit and jam with David Grisman for hours on end? Or maybe Tony Rice, Sam Bush, Jerry Garcia, or any of your musical heros? You'd be surprised at how easily this can be done. And guess what? You will become a better player at the same time. In this episode I discuss the concept of "being in" and how to get "in". I conclude this episode with some sure-fire ways to be "out!" too. Enjoy the show. Sometimes if you back up and take a second look at things you will discover some gold nuggets which you missed in your headlong rush the first time! I take to the "air waves" to publicly read and answer some recent email I have received. I also tell the story of how I helped to rob a bank! Here one of those Homer Simpson type "Doh!" ideas that doesn't really even need to be said. Just don't do like I did. Mankind, along with many other creatures, is a planner. But often these plans go awry just like the poor mouse in Robert Burns' poem. How can you devise, tweak and implement plans which actually work and bring about positive results? In this bonus episode I introduce my new complete system for learning to play bluegrass bass. If this is not for you, I'll bet you know someone who could use it! This episode is a free-wheeling romp through many topics but the main thrust is how important little thank you gestures can be. I also gripe a bit about modernity in automotive parking brakes! Enjoy! Are you enjoying this? Tell your friends about the podcast. I said when I started, jokingly to my wife, that I would probably put out 500 episodes. I want to do that. But it requires help from you, the listener. So, do what you can. Otherwise it's ***crickets***. THANKS FOR LISTENING • SHARE IT WITH YOUR FRIENDS! Let me know what you think by emailing me your comments and suggestions. About your host Bradley Laird. Have something to contribute? Want to be on the show? If you have something to say, and you think it would help the audience, contact me and let's talk about an interview. Want to feature your band's music on the show? I am seeking recorded music to feature in each episode from bluegrass bands a) currently performing, b) have original material which they hold the copyrights to, and c) want to be heard! Contact me by email. Have an idea, product or service that you think helps people play better bluegrass? Same deal. Contact me and I'd love to feature you or mention it on the show. Listener Poll Tell me a bit about yourself so that I can create episodes tailored to your interests, your skill level, and your favorite instrument. Help me help you! Link to my listener poll. A technical note: If you prefer to manually use the RSS feed here are the instructions. It's not hard at all. You can also use Podbean or Stitcher as an optional way of listening. Use the buttons at the top of the page.